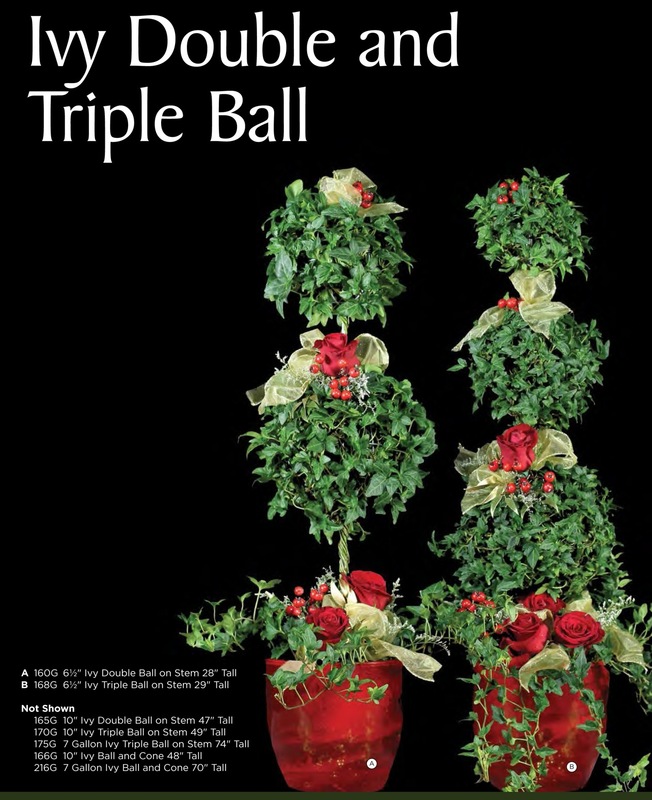 Live Ball Christmas Topiary (single ball, double & triple ball) for home, office or business. Our live double and triple Ivy Christmas topiary will light up every area of your home and office. Gift giving is a difficult process, especially when it comes to a boss or coworker. Using one of these Christmas topiaries will leave a long lasting beauty to their office, or home. You may even start a trend using the topiaries as gifts and hopefully the office will adapt some green life into the office. It has been shown in research that those with greenery in their offices are happier people.